The following are the links to the Google Forms for experienced users who want to fill out the forms in advance. Please remember that the links must be Direct Links to your post. Will the scheduled direct links convert to the daily posts? In other words if the url shows to be a 'preview' when posted to the daily list, will it change as a live post on the day scheduled. I am in Blogger, and that is the 'preview' option is the only way I can see to post to the list in advance. I hope this a clearer than mud question. Sue, no the preview link won't work. I use Blogger as well. On the right hand side there is a clickable link for PERMALINK. Click that, then click the button for CUSTOM PERMALINK. That will assign either the link before it's published. By default, it will use the post title. I assigned my own name. You can do either way. BUT, to get the correct URL you need to do this. 2) Click PERMALINK again and highlight the assigned full URL shown...don't change anything. Click DONE. Thanks...I think I did it. Good directions for a step by step learner. Is there anyway you can check it for correctness before I go to the next letters? If not I will wait for Sunday. If I did it right, it should be on the Daily List...right? I've been on blogger since 2009 and never knew about the permalink. Sure glad I asked. I bet I'm not the only Blogger user that would benefit from your directions. I've just done my first post - what now? I've done the Google form thing, but where do I find what other people have posted? And how do they find me without looking at a speadsheet? Wish I could but they haven't published the link to the daily lists themselves, just the form to enter them. Glad I could help...I've used Blogger since 2006 and only dabbled with the permalinks in the last couple of years. LOL! We tend to use what we need, especially with something new. Guess we will see tomorrow! Thanks -- I couldn't find it either...even with my Dragon's Eye View! 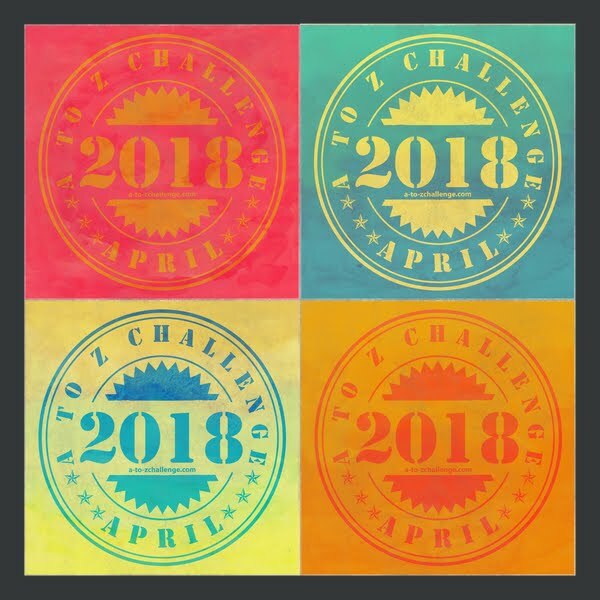 This is my 3rd year in the AtoZChallenge. In the previous years, I would have to take a copy of my post link and post that link on a certain page. I don't see where I am suppose to link my post for the challenge. Can someone tell me, thanks. Anyway, I'm as confused as a few others. I did go and read the related posts regarding signing up to the master list - which I understand is now closed. I have been adding my daily posts to the daily link page, but... I don't know where to find the daily posts of others. Is it all based on the master list - if so, I guess that's where I'll start, though no one else will see what I've posted. Now, I get it, the list is close... but... really, I figured it would be open for a day or two afterwards. Anyhow, if it's not doable, it's not doable... no worries. I'll get back to doing my own thing. That won't stop me for Tweeting and posting anyway. However, I do think this new system is missing something. Feels to mechanical, lost an element of "people" in the mix. Hello! 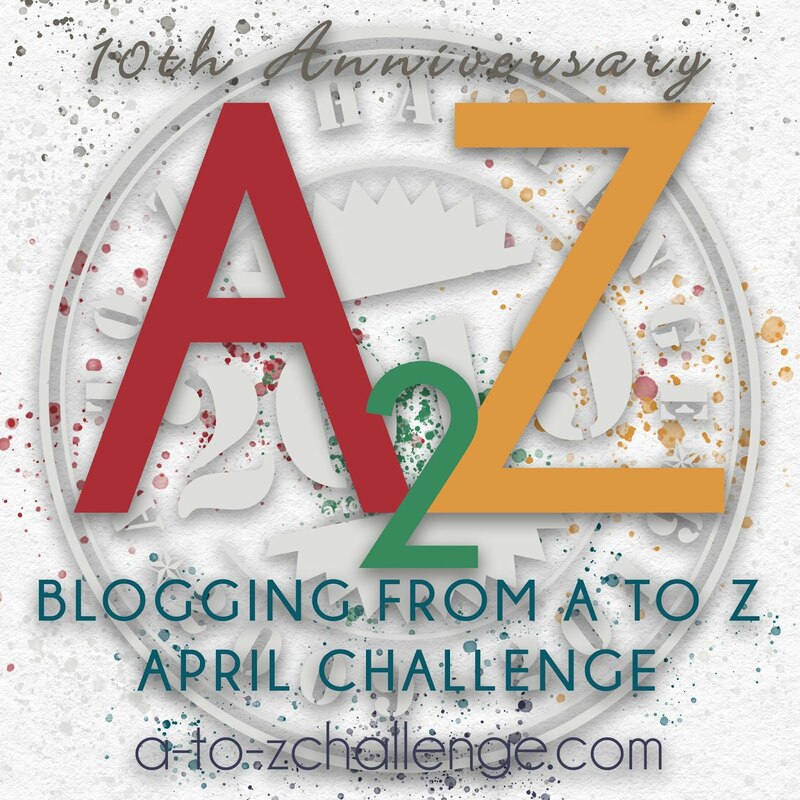 Each day, when new posts go up on the A to Z Blog, the Daily Lists are also published. So anyone who views the daily lists will see your links. The other great way to get your blog viewed is to comment on others' blogs. We'll do a survey at the end of the month, so keep your suggestions in mind for how we can improve! Absolutely! You can join in by posting your link on the daily forms. 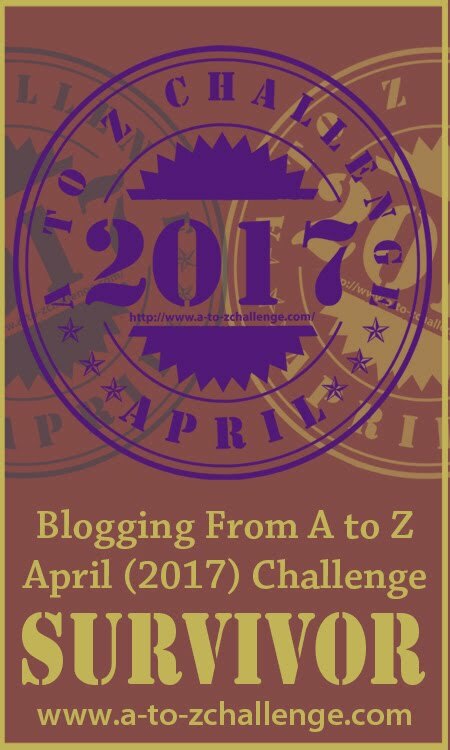 The list of links will publish each day with the post on the A to Z page. You can also comment on other people's blogs! That's one of the best ways to participate. When we post each day at www.a-to-zchallenge.com the lists are published then, too. 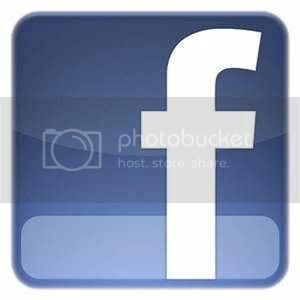 This page is provided merely as a way to allow people to put their links up if they pre-scheduled their posts. The biggest complaint from last year was that you couldn't publish your link until the day of, which didn't allow for anyone to pre-schedule. At the end of the month we'll be doing a survey, and we'll be happy to hear your suggestions and make adjustments for the future! The list closes 48 hours after it opens, but you've posted it here, so people can access it that way! Quite a few dead links...how does that happen? The only thing I can think of is that people don't post the correct links? Sorry to hear that, though! My name has not appeared on the masterlist even though I registered 3 days before the campaign began. Can anything be done now? Uh-oh. I've been posting the permalink to the daily list, but I used the automatic one, not the custom. I think that will still work. Fingers crossed it does. I haven't bothered to check for my link because there are so many bloggers listed. 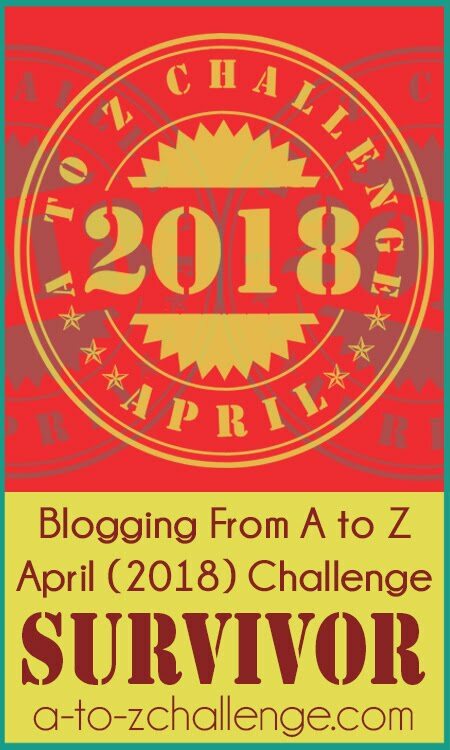 Thanks for this A to Z opportunity to promote our blogs. What a huge job you have. Where is the X list? I've been waiting and waiting... it's now the 28th here, which means evening of the 27th for you. I think there must be a problem. It should have been up hours ago. I thought I posted the exact X one for the Story Crossroads blog, though here it is: https://storycrossroads.com/2018/04/27/x-is-for-xhosa-xenial-xenodochial-a-to-z-blog-challenge/. Theme of Mythology and Folklore. The lists don't auto-post, but if you read our daily posts, that's where they have been all along. :) Glad to know you're accessing them here, too. We have the daily lists for just that reason. :) You can also comment on blogs! 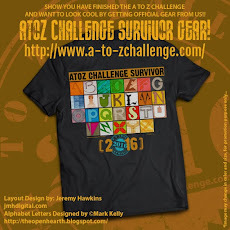 Do you have a 2018 survivor badge? I'm not seeing it. I had the same question. I've seen them on other blogger's sites, but I can't find it. When is the Road Trip starting ?? ?